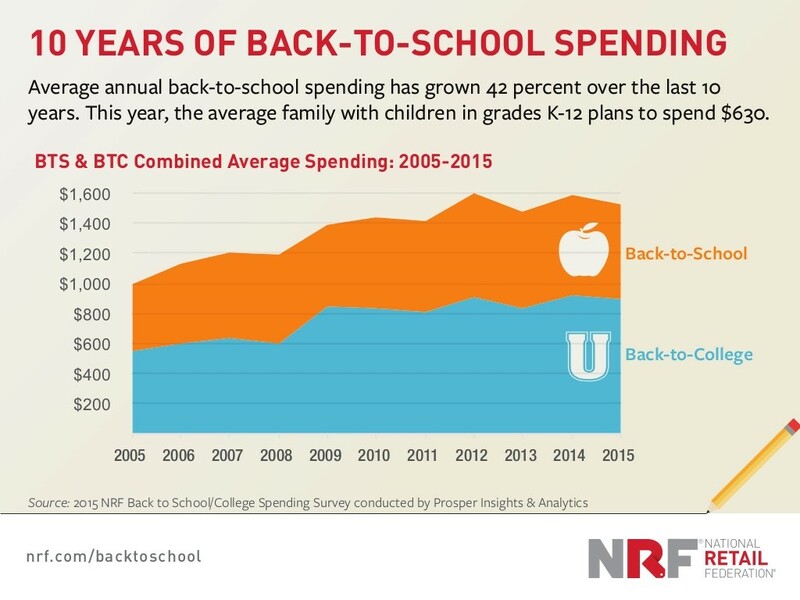 According to the National Retail Federation (NRF), average annual back-to-school spending has grown 42% over the last 10 years. This year, total spending for K-12 and college is expected to reach $68 billion in the United States topping every other retail holiday except the winter holidays. While this is a huge business opportunity for retailers, consumers have an opportunity of their own to save on all their purchases. 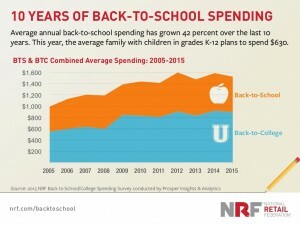 Whether it involves couponing, price comparison, cash back, or other savings techniques, consumers should make a valiant effort to save on every back-to-school purchase. One common mistake consumers make is the assumption that big box retailers always offer the lowest price for every product. But why presume when price comparison tools are readily available? It’s critical for consumers to go the extra step to avoid wasting their hard-earned income. Websites and mobile apps now empower consumers by allowing them to compare product prices across thousands of retailers. With a simple search on a price comparison platform, a consumer can quickly discover that a watch which would cost $180 is actually available for $100 on another website. For the on-the-go consumer, mobile apps can provide pricing information through the simple scan of a barcode or search. Savvy consumers will leverage these tools to save on all their back-to-school shopping trips. Price matching policies are now common at many large retailers. For those of you who are unfamiliar with the concept, price matching gives consumers the ability to pay a lower price if they find the identical product for less in-store or on a competitor‘s website. It can also be applied if you are about to buy a product in-store and notice that it is actually cheaper online. Participating retailers let you pay the online price. In certain cases, retailers even let you apply the discount after you have already made the purchase. For instance, if you buy an item and then come across a lower price within a certain time period, retailers like Target will give you money back. Staples is currently offering a back-to-school low price guarantee that is available until September 19th. Also educate yourself on the price match policies of other major retailers including Best Buy, Walmart, Target, Toys “R” Us, and Sears. Many of these are available year-round. 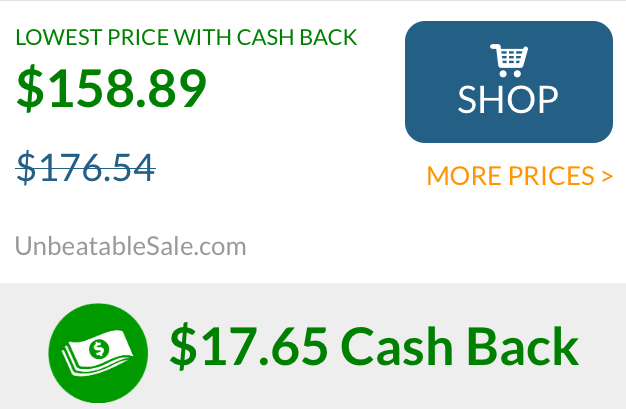 Cash back is another great incentive available to back-to-school shoppers. Aside from credit card cash back programs, there are also websites and mobile apps that refund consumers for purchases made through their sites. These refunds can make a big difference in the total amount spent on back-to-school shopping. In an effort to stimulate the economy many states have tax holidays during the back-to-school shopping period. The blog below provides a great breakdown of tax holidays and when they might be available in your state: http://ow.ly/QUHW3. Last but not least, take advantage of the fact that nearly every retailer is capitalizing on the back-to-school shopping craze and offering major discounts on products. We’ve done some research and found some sales you might be interested in. In the words of the Better Business Bureau, “being a savvy shopper is key to saving money.” As we head towards the end of the back-to-school shopping season, it would be encouraging to see the savvy shopper win the battle against retail. Saving money is easy with a little dedication and education. For starters, try the free ScanLife app. 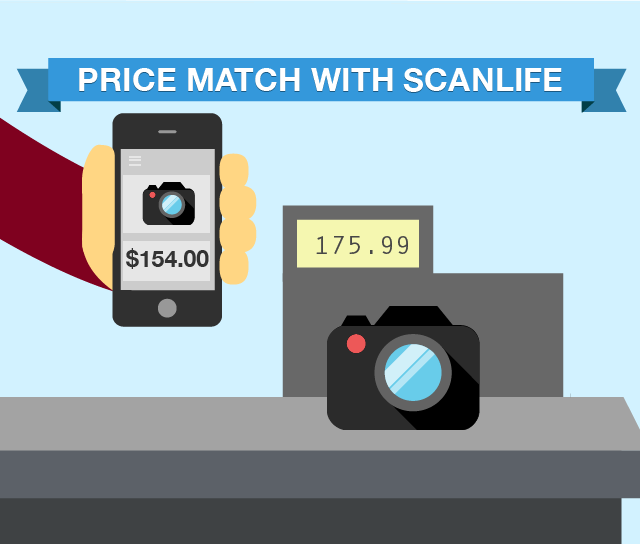 ScanLife is a personal shopping assistant that provides on-the-go price comparison accessible through a simple barcode scan. Along with price comparison, the app gives consumers the ability to price match as well as get cash back for purchases made through the app. Lastly, handpicked deals and coupons based on your interests are delivered to your app on a daily basis. 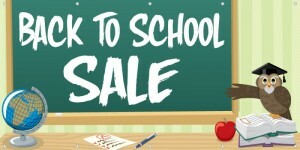 Good luck on your back-to-school shopping journey and happy savings!